Victoria Stanger is a fantastic Physician Assistant working in the SLC Health Clinics of Utah. She was born in Veracruz, Mexico. 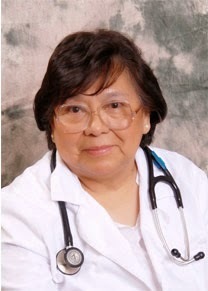 She went to a 7 year medical school program at the National University in Mexico City, graduating as an MD in 1974. She completed a 4 year OB/GYN residency at the Social Security Hospital in Mexico. While visiting family in the United States of America, Victoria took and passed the Foreign Medical Exam and the American Medical Boards. In order to become licensed as a doctor in the United States, she still needed to do a one year medical residency in United States. Because of the competitive nature of the residency program and her status as a foreign-trained doctor, she was not allowed to complete a residency program in Utah. Rather than leave Utah to go to another program out of state, Victoria elected to go to physician’s assistant school at the University of Utah, graduating in 1993 with honors. Although Victoria now provides medical services to the entire family, her true love remains women’s healthcare. She is happily married to Merrill Stanger. They have one daughter, Marcela.